Funeral services for Shirley Mae Porter, 82, will be held at 2:00 P.M. Saturday, September 8, 2018 at The Gathering, 805 East Richards Street in Douglas, Wyoming with Pastor Frank Wiederrecht officiating. Inurnment will be in the Lindale Cemetery in Eldorado, Illinois. 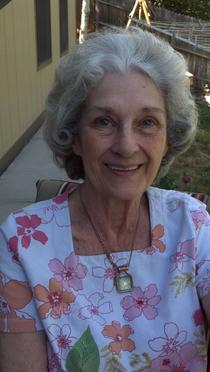 Shirley Porter died Monday, September 3, 2018 at the Douglas Care Center in Douglas, Wyoming. Shirley was born Saturday, May 2, 1936 in Saint Louis, Missouri the daughter of Arch Doyle and Oma Opal (Snedecor) Baker. She was reared and educated in Eldorado, Illinois, graduating from the Eldorado High School in 1954. She attended the Southern Illinois College in Harrisburg, Illinois where she received an Associate Degree in the Arts. She was married to Joseph A. Porter in May, 1960 in Carbondale, Illinois. Following her divorce she lived in Marion, Illinois from 1973 to 2004, where she worked in the restaurant industry. She moved to Douglas in 2004, where she resided until the time of her death. She enjoyed doing art, painting with oil, cooking, organizing dinner parties, rock hunting, and playing golf. She is survived by her daughters, Lisa (James) Benge and Jeannette (Buddy) Hughes both of Douglas; siblings, Jared (Cory) Baker of Newburgh, Indiana and Denise Mueller of Carterville, Illinois; grandchildren, Ryan Mapps, Miranda Mapps, Nicole (Matt) Johnson, Joe (Jaci) Benge, and Leah Benge; and 12 great grandchildren. A memorial to the Douglas Senior Citizens’ Center, P.O. Box 192, Douglas, Wyoming 82633 would be appreciated by the family. The Gorman Funeral Homes – Converse Chapel of Douglas, Wyoming is in charge of the arrangements.